Not everyone is sensitive to magnetic fields. In fact, the majority of people are probably not sensitive. There are likely degrees of sensitivity. There are no definitive tests at present to ascertain whether or not anyone is sensitive to magnetic fields. I include the tests below as possible indicators of magnetic field sensitivity. Not everyone who is sensitive to magnetic fields will pass all the tests, and passing one or more of the tests doesn't prove that someone is sensitive to magnetic fields. The natural, or geomagnetic field, pictured above. This is omnipresent on the Earth's surface, but relatively weak. The natural field is stronger near the poles and weaker near the equator. 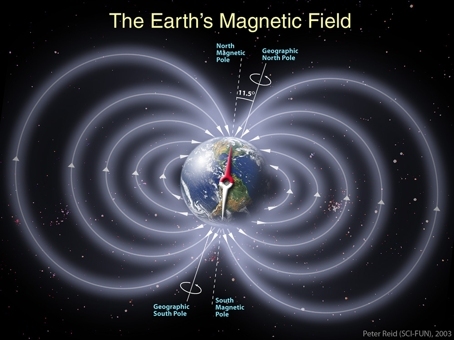 Magnetic field lines vary from vertical to the Earth's surface near the poles to horizontal to the Earth's surface near the equator. The geomagnetic field is quasi-static—mostly static, but parts of it vary daily, seasonal, and over longer periods. Artificial, or man-made magnetic fields. These can be static, like from a permanent magnet, or time-varying, like from an Internet modem. In real life, magnetic fields affect our behavior more subtly than in the Giphy below. To find out if you’re sensitive, first read my Two Great Biological Mysteries article for background, then continue reading below. This is difficult to ascertain, due to lack of research. My main focus is on psychiatric disorders, which I suffer from. But I've heard from people with other disorders. Probably the next most frequent ones among people who have responded to me are seizure disorders. Most likely, many chronic medical conditions have some connection to magnetoreception. It's easy to not be aware of any sensitivities to the geomagnetic field, as it is omnipresent on the Earth. But just because the geomagnetic field is everywhere, that doesn't imply that it is the same everywhere. As I said above, geomagnetic field intensity and inclination vary across the Earth's surface, generally being higher the closer you are to the poles. There are other, more subtle, variations that occur that people may be sensitive to. For example, the geomagnetic field is disrupted during a magnetic storm, and there is some research evidence showing human reactions to these disruptions. Animals use the geomagnetic field for navigation, but modern humans don't. We may feel different when the geomagnetic field changes, but we don't nagivate based on these feelings. Do You Feel Abnormally Different in Different Places? Feeling abnormally different in different places is an indicator of possible geomagnetic field sensitivity. By “abnormally different” I mean differences that can’t be easily understood or explained. By “different places” I mean places that are separated by some distance, for example New York City versus Miami. These should be places that you've lived in, not just visited for a short time. If you've lived in one place your entire life, then this test will not be applicable to you. Above is an example of normal differences. Let’s say that an extraverted man named Steve likes big cities, because he craves stimulation. 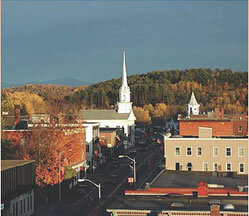 Steve feels good in New York and London, but not so good in a small town in the middle of nowhere. These are “normal” feelings, because they can be easily understood and explained. Let’s turn to abnormal differences. Let’s say that John, who has bipolar disorder, feels depressed when he’s in New York City, but feels manic in Miami. This difference can’t be easily explained. 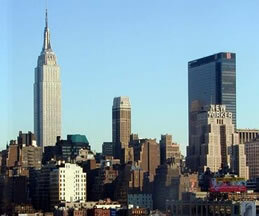 These are both big cities which vary in many different qualities. Why would he have different symptoms in northern versus southern cities? One possible answer is climate. Maybe John likes warm weather. But this doesn’t explain the extremes of emotion he’s feeling. Unusual and unexplained geographical variation in symptoms can indicate sensitivity to the Earth’s magnetic field. The geomagnetic field varies across the world. Feeling abnormally different in different places can be a response to these magnetic field variations. It could also be an indication that one’s feelings and symptoms follow a psychological magnetic map similar to mine. It’s easy to attribute these differences in feelings to other things. 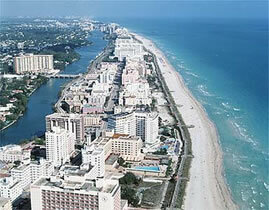 In the previous example, bipolar John may attribute his Miami mania to nice weather, beaches, and scantily clad women. He may attribute his New York City winter depression to its being cold, dark, overcrowded, and expensive. As a personal example, I had my first mental breakdown during my freshman year of college at University of Virginia/Charlottesville. During that breakdown, and for many years after, I attributed it to things like the stress of being away from home the first time, of living in a dorm, of making new friends, and keeping up with the coursework in a difficult major (physics). I now look at it differently. Charlottesville is 450 kilometers (280 miles) southwest of my hometown, and the geomagnetic field is much different there versus northern New Jersey. In my opinion, the different geomagnetic field is an important factor in explaining my mental breakdown. Can You Perceive Distant Earthquakes Before They Occur? This is one of the most common types of geomagnetic field sensitivities from people who have responded to my site. People can sense an impending earthquake, sometimes feeling different up to a day in advance. They may feel disoriented, dizzy, or have a migraine. They also may feel differently during and after the earthquake. Since the quake is too far for them to feel the vibration, and they perceive it before it occurs, the most likely cause is a tiny disturbance in the geomagnetic field that humans can perceive, but apparently not scientists with their devices. Are You Sensitive to Geomagnetic Storms? Magnetic storms occur when events occur in the sun, such as solar flares, coronal holes, and coronal mass ejections, that travel to the Earth. These events disrupt the geomagnetic field, temporarily altering its intensity, inclination, and other characteristics. These events more often occur during peak periods of the 11 year solar cycle (aka sunspot sycle). Solar cycle 24 began in 2008 and peaked between 2012 and 2014. Solar events that cause magnetic storms can be observed and the storms predicted a few days in advance. If you have been feeling OK, then suddenly feel bad, and nothing else has changed, you can check to see if this is due to a magnetic storm by going to this website. Geomagnetic storms are classified on a scale of G1 to G5, with G1 being the mildest kind, and G5 being the most extreme. Personally, I haven't noticed any consistent reaction to magnetic storms, but other people probably are more sensitive to them. Do You Have a Strong Reaction to Looking at the Sky? 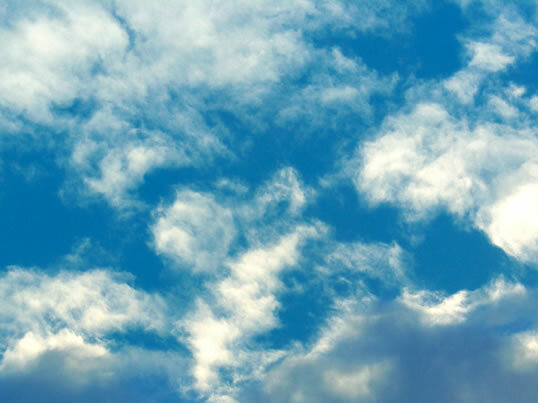 An abnormal reaction when looking at the sky is another indicator of magnetoreceptive ability. My navigational ability is sharpened when looking directly at the early afternoon sky. It seems that my body is reacting to something it perceives in the skylight. It seems to act in conjunction with my north-south map ability, so it is likely a type of magnetoreception. There are certain conditions that you need to follow when testing for this reaction. Time of day is important. Try taking a walk outside in the early afternoon around 1:30 p.m. The exact timing is dependent on your location and season, but this should be at least 6 hours after sunrise and 4 hours before sunset. This test should only be done if you’ve slept in the same bed, at the same bed angle, for four or more consecutive nights. If you've flown in an airplane or been on a high-speed train, you need to wait 4 days before doing this experiment. If you’ve just been in a car, bus, train, or bike, you need to wait 15 minutes before doing this experiment. Walk around for about five minutes, periodically looking up at the sky (not the sun, but anywhere else in the sky). At the end of the five minutes, do you feel a more intense sensation looking at the sky instead of looking at the ground? If so, make note of what you feel. If you feel depressed or sad, you’re probably in the Negative Zone, which means that you’re north of your magnetic home. If you feel manic or anxious, you’re probably in the Positive Zone, which means that you’re south of your magnetic home. If you feel happy, well, then congratulations: you’re in the Happy Zone! You're in your magnetic home. Are You Sensitive to the Daylight Saving Time Change? As I discuss in my Two Great Biological Mysteries page, circadian rhythms have an effect on how I perceive the geomagnetic field, and also on how I feel. Circadian rhythms are approximately 24 hour biological cycles, such as the sleep-wake cycle. The daylight saving time change shifts circadian rhythm relative to the solar (natural) day. If you notice a change in mood after the spring or fall time change, this can indicate geomagnetic field sensitivity. You'll notice the psychological change the day after the time change. For example, if the time change happened 2 a.m. Sunday, you'll notice the mood change Monday. When I lived in North Carolina, I had seasonal effects that I connected to my geomagnetic field sensitivity. The general pattern was that my symptoms would get progressively worse for a month or two before the solstice (both winter and summer), then get better after the solstice. If your depression, mania, anxiety, or any other symptom changes with the seasons, this can be a sign of geomagnetic field sensitivity. If it's difficult to be aware of awake sensitivities to the geomagnetic field, it's even more difficult to be aware of sleep sensitivities to the geomagnetic field. You're unconscious when asleep, and the geomagnetic field is omnipresent. But there is a simple test to find out if you are sleep sensitive to the geomagnetic field, changing bed angle. Are You Sensitive to a 45 Degree Change in Bed Angle? As I talk about in my Two Great Biological Mysteries article, a 45 degree change in bed angle will produce a bed angle reset. This may cause a psychological change. To test this, use a compass to measure your current bed angle. I usually measure the long axis of the bed, from head to foot. If the head of your bed is against a wall, you'll need to climb onto the bed to measure this. If you have a large bed, measure from where your head usually lies on the bed. 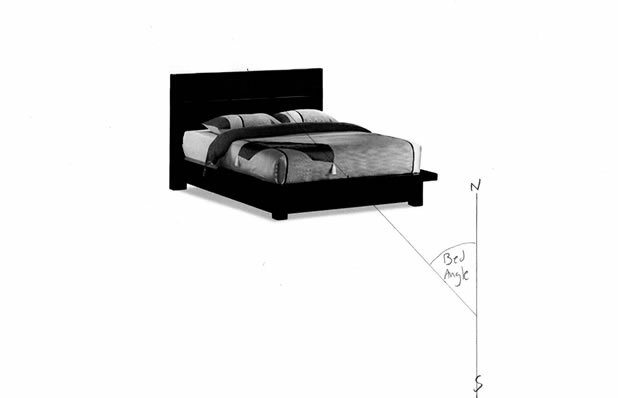 After you get a measurement, rotate the bed so that bed angle will be 45 degrees different. This can be difficult if you don't have free space in your bedroom, but try moving things around to accomplish this. Warning: you may feel worse after doing this, at least temporarily. Any difference in feeling is relevant and a possible sign of sleep sensitivity to the geomagnetic field. An “artificial magnetic field” is a man-made magnetic field. Until the dawn of the Industrial Revolution in the 1700’s, with a few exceptions the only magnetic fields that humans were exposed to were natural ones (i.e. the geomagnetic field and sunlight). In the past several centuries, humans have created numerous devices, machines, and structures that emit magnetic fields. Steel, power lines, and electrical/electronic appliances emit artificial magnetic fields. Some examples of these in a typical contemporary home environment include innerspring mattresses, steel bed frames and headboards, steel building structures, power lines, wireless Internet routers, cell phones, cordless phones, computers, smoke detectors, home security systems, baby monitors, kitchen appliances, and heating/cooling units. In recent years, with the introduction of wireless networks and devices, we’ve become more and more exposed to these fields. Do You Have Electromagnetic Hypersensitivity? Being sensitive to artificial magnetic fields when awake is what is what people refer to as "electromagnetic hypersensitivity". For people with this type of sensitivity, it is usually obvious to them what type of devices they are sensitive to. I'm sensitive to headphones, earbuds, headsets, or any other type of speakers that are close to my ears. I avoid these whenever possible. Working in a call center from 2012 until 2014, I couldn't avoid wearing a headset, and I was miserable in that job. I'm sensitive to some cell phones when I use them in a phone call, with the phone against my ear. In 2017, I got a new smartphone that was much bigger and more powerful than my old phone. While I could put the old phone against my ear when talking without major symptoms, the new phone produces a much stronger reaction. I only use the new phone in speaker mode. In 2016, I encountered an unusual sensitivity to a Macbook Pro laptop that I used for programming work. I felt uncomfortable when using the laptop, and the symptoms increased when the power cord was plugged in (versus being on battery). I haven't been sensitive in this way to any other computer I've used. Sleep sensitivity to artificial magnetic fields, unlike awake sensitivity, isn't obvious. You may experience sleep disturbance, but attribute it to other things. There are 2 types of sleep sensitivity to artificial magnetic fields: near distance and far distance. Near distance sensitivity includes things that are a meter (3 feet) or less from your head when sleeping. Common things that affect me while sleeping include innerspring mattresses and steel headboards and bedframes. Far distance sensitivity includes any objects greater than one meter (3 feet) away. This can involve just about anything, but one common thing that affects me is the Internet modem powered on. Do You Have Near Distance Sleep Sensitivity to Artificial Magnetic Fields? The best way to test near distance sleep sensitivity to magnetic fields is to remove all steel or any electric / electronic devices within one meter (3 feet) from your head when sleeping. If you sleep on an innerspring mattress with steel frame, you'll need to temporarily sleep on an air mattress in a different location in the room, or a different room. See if you feel any different when sleeping on the air mattress versus the spring mattress. Do You Have Far Distance Sleep Sensitivity to Artificial Magnetic Fields? This is easy to test. Just turn off your Internet modem before you go to bed. See if you detect any difference when sleeping. If so, try turning off any other devices that might be powered on in your house (e.g. TV, computers, stereo, etc.). Focus on anything that is in your bedroom, or in adjacent rooms.